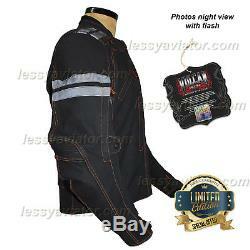 Vulcan VTZ-910 Street Motorcycle Jacket premium. 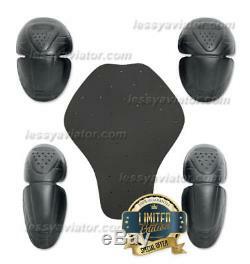 Cowhide matte leather Removable with 5 Armor. Choose your size using the size chart. PLEASE CHECK CAREFULLY THE SIZE CHART. Box addresses, so do not forget. 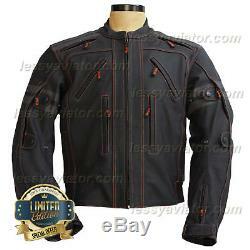 The Vulcan VTZ-910 Motorcycle Jacket is made of premium cowhide leather. It features advanced design with perforated ventilation vents that drop heat and reduce sweat. Featuring THERMOMIX Insulation liner that is removable; it's warmer, thinner and less bulkier for cold weather riding and for reinforcement abrasion resistance and moisture wicking in key impact area to maximize mobility. Along with its many other features; removable CE approved armor, high-visibility reflective pipping for night-time riding and original YKK zippers. 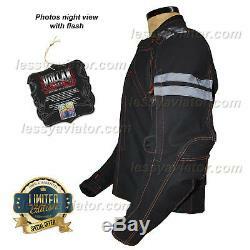 Vulcan VTZ-910 have been tested and certified for consistent comfort, durability, and protection. Vulcan motorcycle gear is the next generation in riding comfort, protection, and quality. 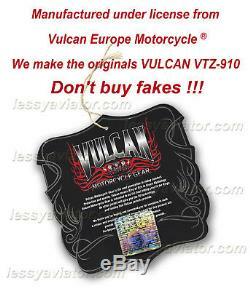 Vulcan means King of Fire in Greek Mythology. Vulcan is motorcycle gear fit for Kings. Cowhide Matte Leather 1.3 mm to 1.4 mm. Mandarin style collar with Velcro tab neck closure. Removable armor on shoulders, elbows, and back. Ergonomic design and higher impact absorption. Reflective, high-visibility pipping on shoulders for night-time riding. Pre-curved arms for extra riding comfort with extra ventilation. YKK zippers: Front zipper closure with bottom Velcro tab closure. THERMOMIX Insulation liner: polyester quilted zip-out liner. THERMOMIX Insulation is warmer, thinner and less bulk. 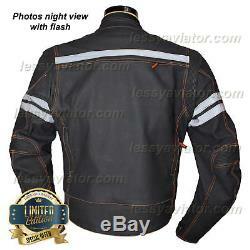 High-quality non-removable polyester mesh lining (attached to the jacket). TWO zippered front hand pockets. Ventilation vents included: front, chest vents, outer-sleeve vents, upper back and lower-back vents. Elastic ribbed-leather panels on the upper back for comfortable free movement. Zipper wrist cuffs with Velcro tab closure. Adjustable waist Velcro straps with elastic ribbed-leather panels. Double kidney belt one full waist and one 8 inch / 20,32 cm. That you have to pay in your country. Some Advices to know how to choose your right size: --- We suggest you that jacket chests size must be 10 cm. Bigger, than your actual diameter total of contour of your chest, without any clothes. -- For example; If your diameter total of your chest is 116 cm. Without clothes, then you have to select and search 126 cm. Of chest from our size chart (it should be LARGE). -- Following this formula is easy to know the correct size. Example jacket: Height 1,82 cm. 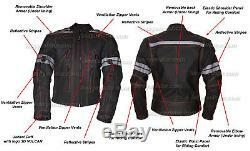 Corresponds to size MEDIUM --- Example jacket: Height 1,78 cm. Corresponds to size MEDIUM --- Example jacket: Height 1,68 cm. Corresponds to size LARGE --- Example jacket: Height 1,83 cm. Corresponds to size LARGE --- Example jacket: Height 1,88 cm. 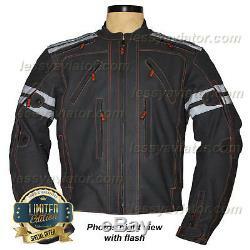 Corresponds to size XL --- Example jacket: Height 1,78 cm. 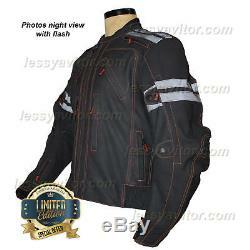 Corresponds to size XL --- Example jacket: Height 1,90 cm. 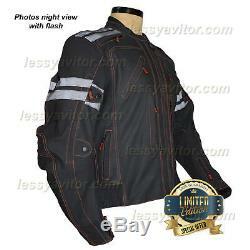 Corresponds to size 2XL --- Example jacket: Height 1,90 cm. 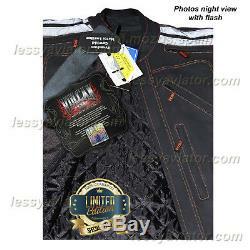 Corresponds to size 3XL --- Example jacket: Height 1,87 cm. The item "Vulcan VTZ 910 Motorcycle Jacket Mens Black Premium leather Armoured Waterproof" is in sale since Wednesday, March 30, 2016. This item is in the category "Clothing, Shoes & Accessories\Men's Clothing\Coats & Jackets".spain" and is located in Pozuelo de Alarcón.